Approximately 15% of babies are in the ‘feet down’ breech presentation position between weeks 29-32 of pregnancy. Most eventually settle into a ‘head down’ position but a small percentage remain in the breech position until labour. Skillful midwives can turn a baby by doing an external cephalic version (ECV) but if unsuccessful then the baby often has to be delivered by caesarean section. Women are keen to avoid such intervention and pleased to hear that a simple acupuncture treatment can turn their baby. In fact research shows a 75% success rate with those using acupuncture compared to 46% in the control group. After taking a full case history to ensure it is the right treatment we will warm up an acupuncture point on the outside of both little toes using a Moxa stick for 15 minutes on each side. Patients often fall asleep as it is so warming and relaxing. 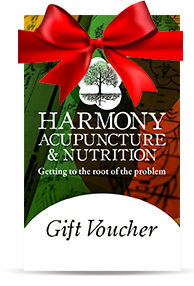 This acupuncture point is connected to the uterus and it is believed that it stimulates production of placental oestrogens and prostaglandins which encourage the lining of the uterus to contract and stimulates foetal activity. It is best to start trying to turn from week 32 onwards. Women can have success up to week 38/39 but at this point there isn’t much room for manoeuvre! Treatment for breech presentation is recommended three times a week for two weeks and we will give you the tools to do the treatment at home in the intermittent days. Once the baby has turned it is important to continue treatment in order to maintain the correct position and prevent him/her turning back to breech presentation position.